Heads & Tales Cafe: Eliza's Journey - The Wreck of the Haleswell. Eliza's Journey - The Wreck of the Haleswell. Jack and his Incredible Adventures with the Pirates. Children £3 accompanying adults free. This story is for adults (over 12) and is a romantic account of the wreck of an EastIndiaman Ship on its way to India. Amongst its passengers were young ladies destined to be married off to young officers of the Indian army. 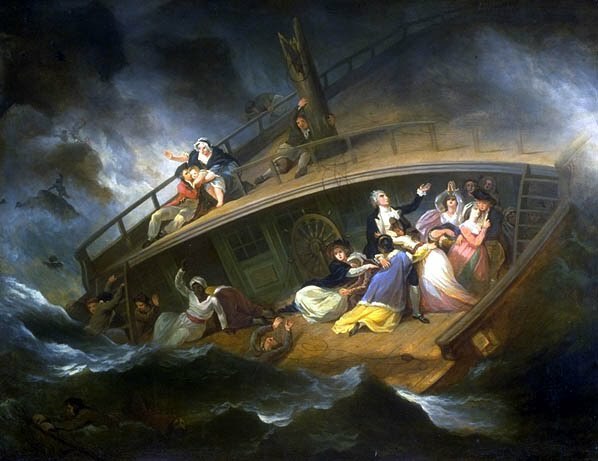 The ship was strong and new but would be wrecked by the terrible storm of 1786. Who would survive?